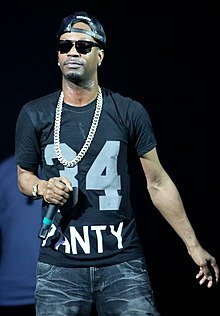 Jordan Michael Houston (born April 5, 1975), better known by his stage name Juicy J, is an American rapper, songwriter and record producer. He is from Memphis, Tennessee. He is a founding member of the Southern hip hop group Three 6 Mafia. They formed in 1991. This page was last changed on 3 September 2018, at 16:05.